For over two months, there has been no sign of NASA’s Mars Opportunity rover. The car-sized space machine, worth a whopping $400 million, signed offline as it disappeared inside a massive Martian dust storm on June 10. 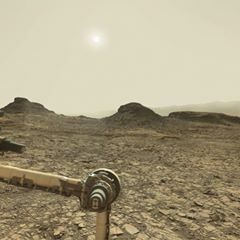 A team of scientists at NASA’s Jet Propulsion Laboratory (JPL) in Pasadena, Calif. have been eagerly listening for signs of life from the rover. So far, all they’ve heard is silence.